In the 1970s English cricket was bemusedly looking down upon its own creation, this new "knockabout" stuff, treating it rather like an exotic pet. 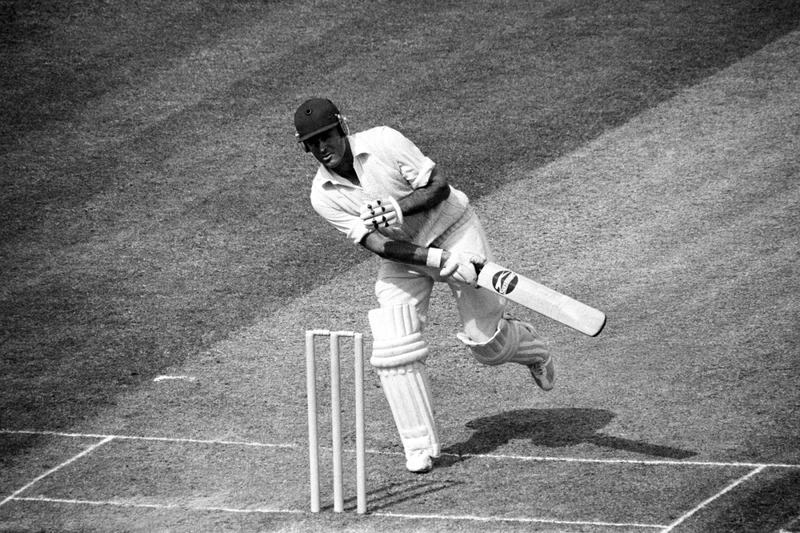 The national selectors assumed their best Test XI must also be their best knockabout XI, and so Boycott played 36 one-day internationals for England. He, of course, made sure of a healthy average (36.06), but his one-day legacy was sealed in that staggering stand with Mike Brearley in the 1979 World Cup final at Lord's. They produced 253 runs in 103 overs in that tournament, saving their "best" for last, a stand of 129 that sucked up 38 of the 60 overs England had in which to chase 287 against West Indies. Some even say Clive Lloyd deliberately spilled a simple catch off Boycott; which makes you realise that when Boycott went berserk in the 1965 Gillette Cup final, with a boundary-rich 146, it really was one of the great wonders of our time. When I was a boy and the world of cricket was opening up, there was a fat man with a moustache and a great big mullet playing for England. There's nothing wrong with being a fat man with a moustache and a great big mullet who plays for England - unless you are playing hopelessly. He lumbered in off a short run and let go some wobblers, although wobble was far more conspicuous during the run-up. His batting was groggy. Yet time and again the selectors kept coming back to this "Beefy". 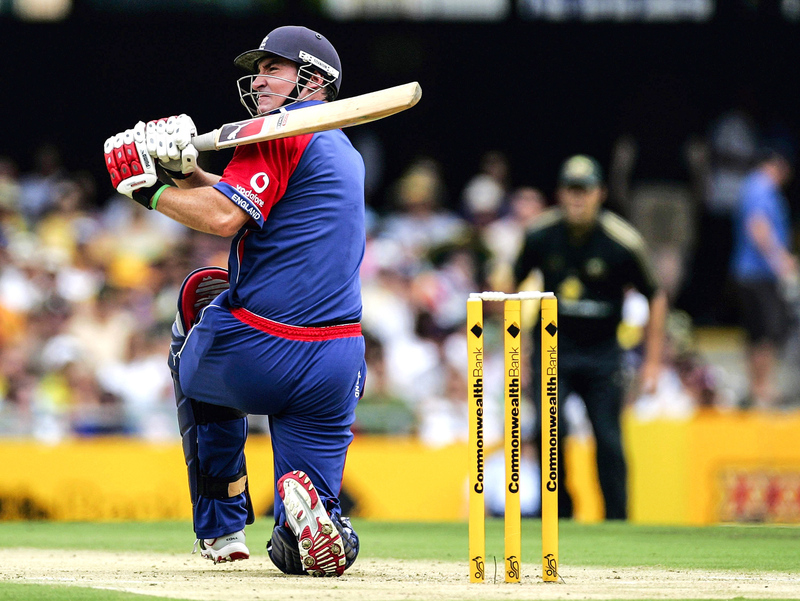 The pinch-hitter was born in the 1992 World Cup, and Botham was chosen to give it a thrash at the top. At the SCG he destroyed the Australians but overall averaged 21.33 from ten innings. The nadir was at the MCG against South Africa. 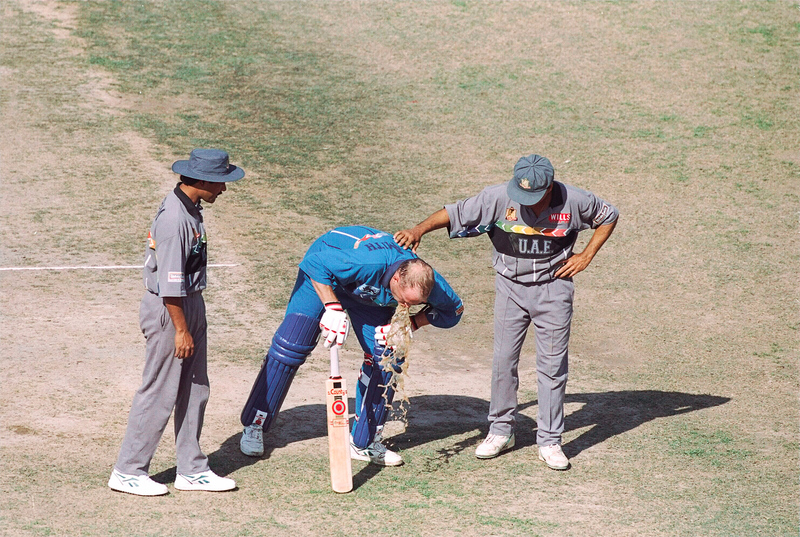 Brian McMillan's ball was straight, Botham's shot was a hopeless heave, and middle stump was violently splintered. I felt embarrassed. Then granny dusted down a video of the 1981 Ashes. Apparently, he could play a bit. Let's be honest, there is only one true English pinch-hitter. Smith played seven one-day internationals, and only three as an opener, but it was enough to acquire a legendary reputation. Smith was, in fact, a fine all-round cricketer, part of the great Warwickshire side of the mid-'90s. Yet he shall forever be the misfiring pinch-hitter whose most memorable contribution to the 1996 World Cup was the previous night's pizza reassembled on an outfield in Peshawar. One-day cricket was evolving rapidly, and the England selectors, way ahead of the game, shoved some No. 8s to the top of the order: Chris Lewis, Phil DeFreitas, Craig White and, at the World Cup, NMK. Other countries had noticed you were better off opening with your established strokemaker, not a tailender. Thus India opened with Sachin Tendulkar, Sri Lanka with Sanath Jayasuriya, New Zealand with Nathan Astle, Australia with Mark Waugh. England rolled out NMK. He didn't do so badly: 27 retired ill against the UAE, 31 against Netherlands and 11 against South Africa. But so feeble were England that poor, vomiting Smith was held up as a symbol of failure. 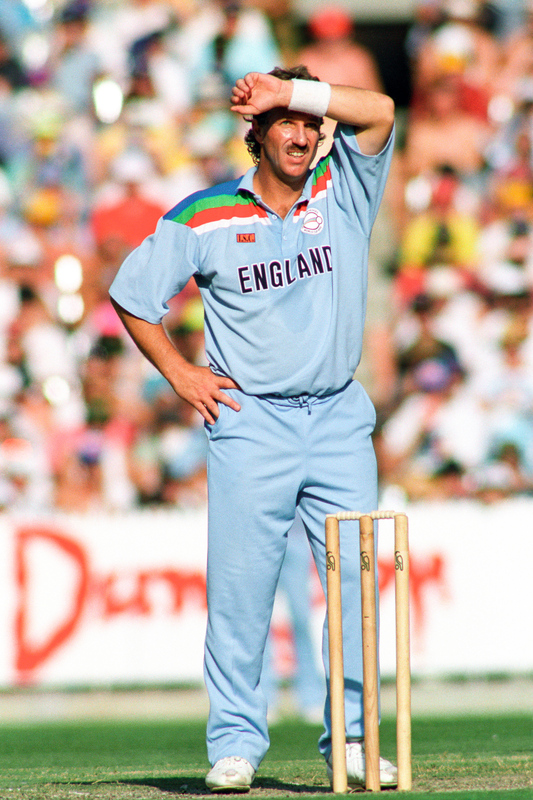 Loye should have been England's dynamic opener for a new multi-dimensional era. The pinch-hitter was passé. A genuine opening batsman was wanted, but he had to be unorthodox. England summoned 34-year-old Malachy Loye from Northampton. For one thing, he had an unorthodox name. And he also had a shot, a slog-sweep all his own that he used exclusively against fast bowlers. Loye was tossed a debut at the Gabbattoir against the Australians, rampant after what was, until recently, the worst of all Ashes drubbings. Fifth over of the innings, Lee to Loye, down that right knee plonks outside off stump and swish... six! Ninth over of the innings, McGrath to Loye, whoosh, there it goes again. These shots, against these bowlers, rescued me from the inferno. The Test team, and 2005, had been vaporised. Now I could feel the blood surging back through my veins. Take that, Pidge! And that! God, what release. Loye never reached 50 that series but there were two more delightful cameos at the SCG. I was still basking in the glory of it all when the selectors, damn them, dropped him for the 2007 World Cup. Between times the England think tank made an executive decision, that your wicketkeeper must open the batting. This was not whimsy. The selectors had hard evidence to call upon: Adam Gilchrist. If he could do it, why the bloody hell couldn't anyone else? Between 2004 and 2011, England, on the front foot as ever, tried a string of Gilchrists: Matt Prior, Geraint Jones, Mustard, Craig Kieswetter, Simon Davies. There was only one hitch: none of them were Adam Gilchrist. Mustard didn't help himself by telling one journalist: "I could be the new Gilchrist." Here was an earnest man of the shires, a Durham lad with round, rosy cheeks and a mischievous unfettered character. I interviewed him once, in the back of a press hut in Dubai, but so happy-go-lucky was Mustard that it felt more like a chat round the fireside while clutching hot mugs.